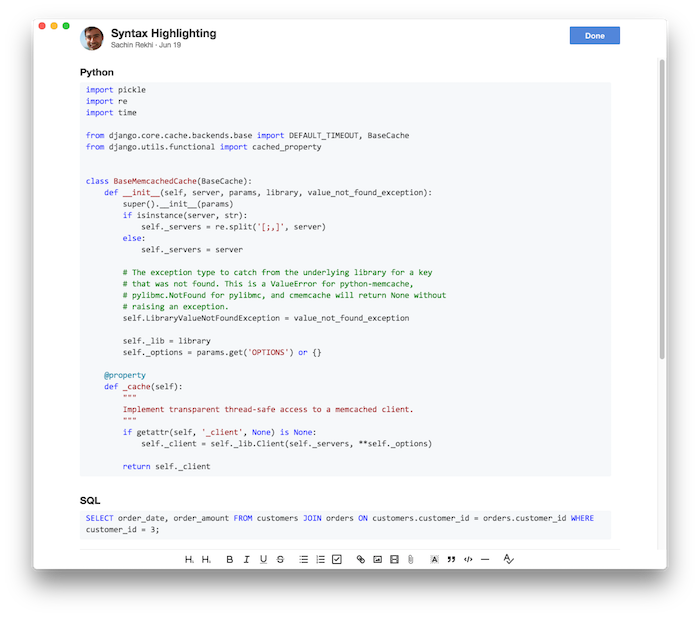 Today we are excited to announce the redesign of our code style to support rich syntax highlighting across a wide variety of languages. Our editor will automatically detect the language and apply just the right styling to improve readability of your code. Syntax highlighting is available today across our web and desktop apps and will be coming soon to our mobile app.